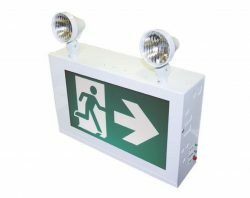 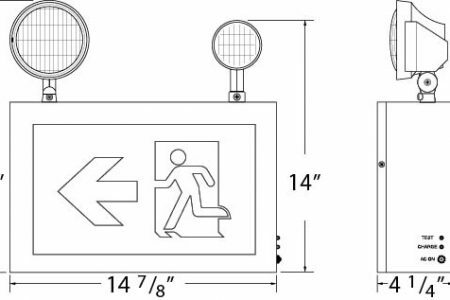 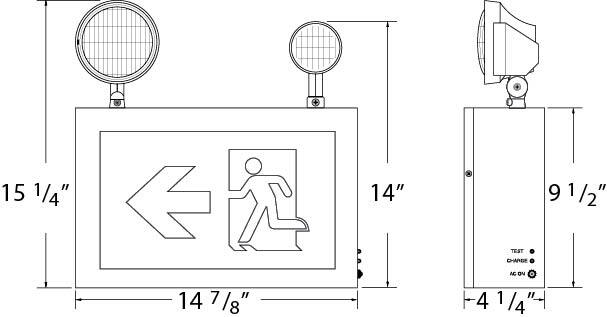 The RPUB series of commercial combination steel sign and battery unit feature a single “unibody” steel construction that allows for large battery capacities. 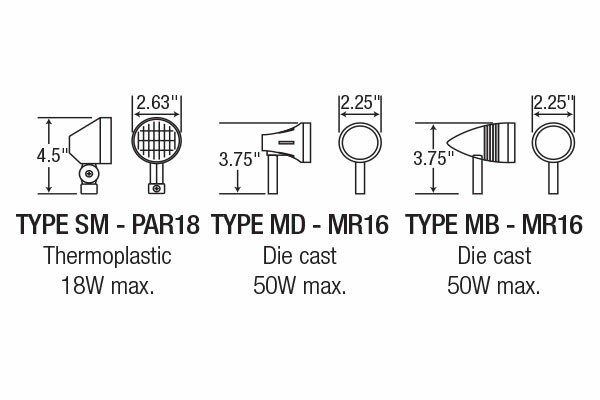 Two PAR18 small style, top mounted heads are standard, MR16 type are optional. 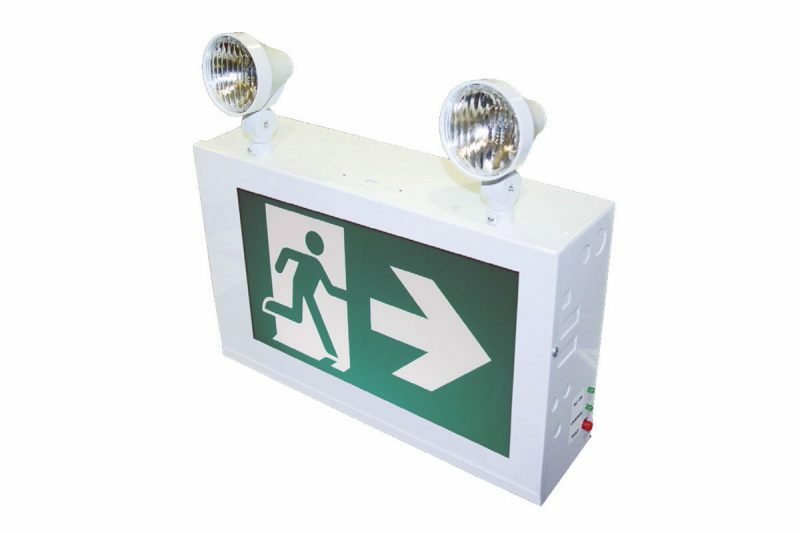 Available with either 6VDC, 12VDC or 24VDC emergency backup power.